1. Your friend came over and said "oh you know that topic you wrote about the other day?" and you're instantly mortified. "what?! You read my blog! Do NOT read it!" "cos I know you! I only write for strangers!" "huh??" Friend speechless and looking rather confused. 2. You stand on a street and cajole the poor tortured soul (husband/friend/child/victim/boyfriend) to take a more flattering photo of you. Yes, I'm talking about OOTD. In case, you think it's an acronym for important government secret agency stuff.......... It's outfit of the day. You're trying to "pose" but you look like a total idiot. Strangers walk pass and smirk. And then you see your friend strolling towards you looking rather bemused. Sh*t. You wish there is a sinkhole beneath the spot you're standing. "Is that even English??? You young people! I don't understand your world, " said my 72 year old dad when I tried to explain to him what social media is. Well, Dad. I'm 40 and there's an even YOUNGER generation that tweets, pins, instagram, wechats, whatsapp and understands HTML codes better than I can walk. 4. It doesn't matter how terrible your math is. Or that you're the only person who'd gotten an egg shaped digit on your math score sheet, you know your blog stats any time of the day, month and year. AND the number of your followers on every social media known to mankind. 5. Try saying this with a straight face - "I'm a blogger" vs "I'm an Amway distributor". And then observe the other person's expression. Bet you get the same strangled look. I'm definitely with you on #1 & 2. And #5 is absolutely hilarious! I'm still far to shy to admit I'm one! I can so imagine you on no.1&2. You're full of inspiration. ..and funny :). I wish that's my work station, Susan! 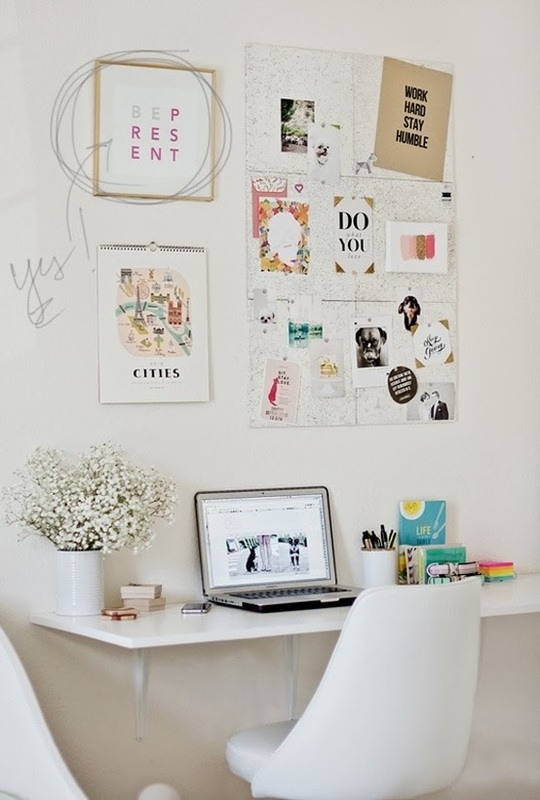 My home office doesn't look remotely this tidy, organized & beautifully decorated. I can complete relate to the first one - I always get embarrassed when friends read my blog, I think because I'd never have expected them to? I suppose it's a good way to keep up with someone kind of? HAHA and yes on the photos. I'm constantly asking Luke to take more because I hate all the photos, or redo-ing them with my tripod. Sigh. Ooh - so true these points. I get the endless eye rolling when the hubs has been asked to take another photo so I don't bother anymore and I certainly don't ever confess to being a blogger. Noooo! Haha #1 is so true! My mom and aunt both read my blog and I am horrified if they ever mention it to me! As they say over here, you're a geg! I get ALL of those points....and I never tell people I blog....I don't deny it if they ask specifically about it but I don't know why I don't just say?! Hey there marlene - Spot on, though I never know my stats, I'm probably the same generation as your Dad and really am not good with all the new fangled, I do Facebook (badly) and that's it. But the street corner stuff is so me. I never say I'm a blogger or ever hand out my cards. My husband says I should tell more people and talk about it more, but I'm still too much of a Kiwi. Am trying to finish my dreaded novel and the writing tutor says for a year we have to say "I am a writer." No way am I doing that. Oh I never say I'm a blogger, most people just look at me blankly if I ever do! Wholeheartedly agree with you on points 1 & 5. Thanks to you, I had a good laugh! You have me giggling with this one! This week I decided to be brave & sent my friend a link to my blog. Her response: Did I look so rough yesterday you're sending me to this site to give me makeup tips? Which brings us back to your other post!